Recently the trailer of Varun Dhawan and Alia Bhatt starrer ‘Badrinath ki Dulhania’ was out and needless to mention, it garnered praises from audiences and all our excitement paid off well. 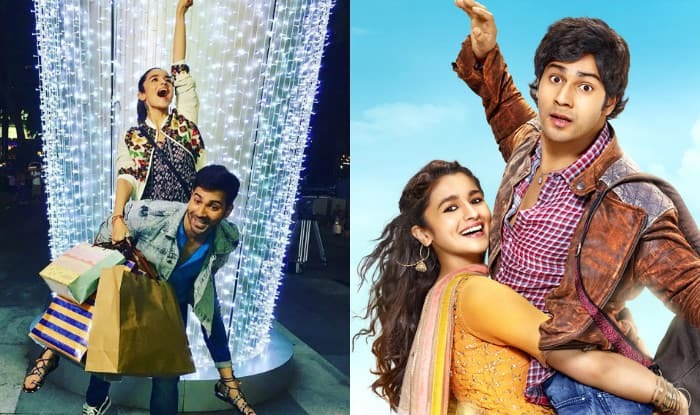 This movie is the second installment of the 2014 hit movie ‘Humpty Sharma ki Dulhania‘ which saw the same lead pair and was an out and out entertainer. The trailer for the second installment of the franchise was launched on February 2, and at the trailer launch, producer Karan Johar confirmed that there will be a third installment of the ‘Dulhaniya’ series and like its prequels, it too will star the superhit pair of Varun Dhawan and Alia Bhatt and will be directed by Shashank Khaitan. At the film’s trailer launch in Mumbai, in the presence of their mentor Karan Johar, Alia Bhatt and Varun Dhawan’s chemistry was on point as always. Alia Bhatt looked lovely in a traditional red number and Varun Dhawan looked dapper sporting a kurta and Nehru jacket. This is the duo’s third movie together after their debut in Student of the Year and Humpty Sharma ki Dulhania. At the film’s trailer launch, director Shashank Khaitan spoke to India.com and said that though he doesn’t have a script yet for the third film of the ‘Dulhania’ franchise, but it is surely going to happen. On being asked why his character is named Badrinath, Varun revealed that he loved his on-screen name as it holds a significant place in his real life. Turns out, his best friend calls him ‘Badri’ as an abbreviation of ‘brother’. Public speaking at exhibitions can be nerve-wracking and for most franchisors it is not their favourite part of franchise recruitment but it is a valuable and extremely effective way to generate those all-important leads. Being nervous before giving a speech is natural and ma ny franchisors will avoid public speaking or pass the job on to one of their team so that they don’t have to put themselves through it. However, speaking at exhibitions will not only help you draw in more prospects, it will also set you above your competition and choosing the best person for the job is very important. Speaking at a franchise exhibition or industry event will attract those prospects who are curious to know more about you, your expert knowledge and your franchise opportunity. Whether that is directly to your stand or from a formally advertised speaking slot and then on to your stand, those who may not have wanted to approach you directly can feel more comfortable about engaging with you on a one-to-on basis after hearing you talk. Franchisors who speak at exhibitions tend to leave with more high quality leads than those that don’t – if they do it right! Don’t forget that if the person delivering that talk for your brand isn’t vibrant, engaging, natural and well versed, then you could put prospects off rather than draw them in! So, no reading from slides, crumpled pieces of paper and definitely make sure your speaker knows the franchise inside out. Taking on a scheduled speaking slot that is available throughout the course of an exhibition is a great way to put yourself and, most importantly, your franchise in the limelight. If the speaking slot is scheduled, you will also have a profile in the exhibition’s show guide which will give prospects a great chance to schedule your slot into their day if they’re genuinely interested. For these slots, make sure that you choose a topic that is educational and is not purely a sales pitch. Although it is a great opportunity to sell your franchise to gathered prospects, it’s also a great opportunity to set yourself as an expert in your industry. By speaking on a topic that is linked to your franchise, but is not openly selling your franchise, prospects will begin to trust you and want to speak to you personally. Make sure you finish your slot with a call to action. This will drive people back towards your stand and result in great follow-up conversations. Maybe you could offer them a free information pack or expert guide if they head over to your stand? A speaking slot scheduled on your stand can be much shorter and more salesy so you can focus on selling your franchise opportunity. This slot can be around 5-10 minutes and can be repeated at regular intervals throughout the day. These slots will capture exhibition visitors’ attention and bring a stream of people over to your stand over the course of the day and help you to have quality conversations with people who are genuinely interested in what you have to offer. Being memorable means that you are more likely to have great conversations when you’ve finished your speaking slot. Make sure that your talk is interesting and represents your brand and franchise in the best possible light but also try to keep it fairly simple and concise! This will ensure more people stick around to find out more. It’s also a great idea to find a way to get contact details from prospects whilst you are talking to them, give them a reason to hand over their details such as offering an expert guide or more information on your upcoming discovery days. There’s no point having a good conversation if you can’t contact them later! The follow up is almost as important as the actual speaking slot. Before you even book your speaking slot, you need to plan how you’re going to follow up on those all-important leads. This will ensure that you and your team will be ready to follow your plan of action as soon as you all return to the office. Time is of the essence and you don’t have time to come up with a plan after the exhibition has taken place. Will you be inviting your prospects to a discovery day, emailing them an exclusive offer or sending over your latest newsletter? There are many traits that successful leaders and entrepreneurs possess, traits like being attentive and highly motivated. But what traits should every franchisee have? Should you be a hard worker or maybe a good listener? There are dozens of traits that successful franchisees should have but for time’s sake, we’ve shortened the list below to 4 essential traits. Successful franchisees have to be successful leaders. A great leader is someone who is influential, with good decision-making and communication skills. Not everyone is born a leader but with patience, anyone can learn the traits of being a good leader. It’s important (although it’s not required) when starting a franchise that you have some experience leading a group or team, or holding a position in management. Franchisees have to be risk takers, there’s no way around that. When going into business, whether there’s a proven business model in place or not, there is an implied amount of risk that’s going to be taken. When starting a franchise, that implied risk is reduced compared to a start-up company. A great franchisee will take calculated risks; risks that will help make their business grow its revenues. It’s essential to take these risks and make important decisions to create a thriving business. When starting a franchise, being/becoming a good communicator is imperative. Franchisees must maintain clear and effective communication with their management team and employees. Franchisees will also need to stay in constant contact with the franchisor, customers, and suppliers. Ineffective communication could cause a hiccup in any part of the business cycle and serious issues down the road. Similar to being a great communicator, franchisees should also be able to network and manage business relationships effectively. The business world is continually changing and to help combat this, many franchisors are constantly updating their training and support materials. Franchisees should be able to take any advice and training by the franchisor and effectively apply it to their business. Those willing to learn the ins and outs of the business are more likely to succeed. All the traits listed above can be learned and perfected with hard work and determination. All successful franchisees don’t fit into the same mold; there are all kinds of personalities and management styles. Finding your management style is part of the process but it’s imperative that you’re able to lead and communicate effectively with your employees. How To Find Right Location For Your Franchise? One of the hardest things to decide on when starting your business is location. Your contract with the franchisor may include a certain geographic location but within that territory, there could be thousands of potential sites. How does one go about choosing the right location? The best way to go about finding the perfect location is to use an experienced team of analysts at the franchisors disposal. Almost all retail franchises will have a team that helps their franchisees decided on the perfect location using historical data about what locations have worked well in the past. The franchisor should be helping along the way to decide the location type, the size, rent, and the tenants nearby. Once a space is found, usually with the help of a real estate broker or firm, the floor plan has to be decided on and approved by all the parties involved. Although you may find what seems like the perfect location on paper, you’ll have to gather data about the traffic quality and building accessibility. If your building or strip mall location is not easily accessible for all traffic, pedestrian and car, you may not see the amount of business you had expected. A good suggestion while analyzing your potential location is to check with the local land use municipality. There could be competition being built right around the corner. Have an understanding of the surroundings and demographics, these could make or break your business. When signing on the dotted line for your retail space, make sure to obtain legal counsel. Not all franchisors will help the franchisee through the legal process, this is your responsibility. Make sure that your signage and store configurations work with the lease and landlord. During the lease negotiations, find concessions that will help you in the long run. An example, negotiate away from paying Common Area Maintenance Fees. These fees are often assessed by occupancy levels and not by square footage. It’s great if your Franchisor walks you through the complete process from buying the business to property lease negotiation but always do your own due diligence. Protect yourself from any mistakes that could possibly cost you your business. There are several things to think about when looking to purchase a franchise, and with so many opportunities to choose from, how do you go about selecting the right one for you? The following considerations can help narrow down your list of potential businesses and guide you in selecting a franchise that you will enjoy operating for years to come. Take into account your own talents and experience to determine possible industries. It’s essential to choose a business that both appeals to your interests and fits your abilities. Look for a business that offers a quality product or service with a proven demand, specifically within the market you intend to operate your business. Conduct your own research using the internet and also request data from potential franchisors regarding current demand and projected growth. Figure out how much you can afford to invest. Utilize an online Franchise Selector tool to assist in narrowing your search based on investment level, industry and location. Examine the competition for your potential business within your area. How many others offer the same product or service? If the market is saturated with similar businesses, it may be wise to choose a different opportunity. Consider the brand awareness of the product or service. Choosing a business with an established and recognizable name can work to your advantage and help you become profitable sooner. Investigate the franchisor’s business plan and marketing system. Determine if the training and ongoing support offered will be sufficient based on your knowledge of the industry and ability to operate your own business, and consider the marketing support offered to help promote your business. Talk to people already in the business including current franchisees of the opportunity you are considering. Find out their likes and dislikes about the industry and the franchisor. This can yield some of the most valuable information to help you make your decision. Is There A Payoff for Home-based Franchising ? Home-based franchising can be a great business model, but it’s not for everyone. Working from home takes an organized self-starter who can get the job done despite what’s going on around them. But for those who are self-motivated, can multi-task, and can balance working and living in their home, the benefits of a home-based franchise can add up to big success. The choices for home-based franchising are varied and wide – and seemingly growing more by the week. These days there are all kinds of home-based franchise opportunities. Just a few examples include home decorating, home repair, home cleaning, healthcare, as well as a number of pet services. Most of these home-based franchises typically require a lower investment and often offer a more specialized service than their retail and commercial kin. Lower Investment: There’s no building or facility to lease and generally not much equipment or supplies to purchase. The result is a lower total investment cost right off the bat. Some franchise brands even allow you to “outgrow” your home base and expand into commercial property, adding staff and building the business should you so desire. Quick Start: As you might expect, home-based franchises are typically easier and faster to get up and running. There’s no new construction needed, no remodeling needed, and little if any equipment to procure. It’s not much time from signing the franchise agreement to serving customers and generating revenue. Into the Black: Most home-based franchises not only have a lower upfront investment cost, but lower fixed and operating costs. All of this translates into a quicker cash flow break-even point. In other words, you can generally make money more quickly with a home-based franchise than you can with a traditional franchise location. Flexibility – This is one of the top attractions to a home-based franchise. Set your own schedule and manage your own time. If you have the right self-motivated drive, you can be your own boss and manage yourself right into a successful home-based business opportunity. Some franchise brands even allow franchisees to start out part-time and work their way into becoming a full-time franchisee. This is great for stay-at-home moms or others who are looking to transition out of their current career. Relational business – Oftentimes, home-based franchising lends itself to a very personal and relationship-driven business. For example, you really get to know a person when you are in their home and helping them redecorate or choose new window coverings. Subsequently, these relationships helps drive word-of-mouth referrals to you. Basic franchising benefits – Whether it’s a proven system that works, support and training to back it up, or cost-reduced purchasing power, the franchising business model offers many advantages to someone looking for a home-based business. If home-based franchising looks like a perfect match to you, do your homework, visit with some different brands, ask lots of questions, and make the move. You could be on your way to running a thriving franchise business from your own home. Service Based Franchising: What Franchisors Want? When you first consider franchising as a business model, one of the choices that arises is which type of business, in which sector, suits you best. One basic choice is to make is goods or service; another is retail or home-based. Let’s begin with the similarities. All franchisors want candidates who follow the system, pay royalties on time, possess marketing skills and savvy, know how to run a business, show leadership and growth potential, are good communicators, and are expansion-minded, community-oriented, and willing to give back to the system. Franchisors look for these skills whether you choose a service, retail, B2B, or other concept. They also look for someone able to balance their professional and personal lives (although for some, a willingness to work 60- to 80-hour weeks, at least for the first several months, can be a real plus); who moves easily between all the different roles demanded of a franchisee; and who believes in the product or service so strongly that they become a brand ambassador, even an evangelist. In the services sector, some of these issues can overlap. For example, you can have a home-based service business such as coaching done in the home; mobile dog-washing with a fleet of vehicles managed from the home; or financial advising where you both visit clients and work from home on research and reports. You also can have a retail-based service concept, such as a hair salon or oil change business, for example. In other words, to make the optimal choice, you need to weigh and balance all the moving parts. Each choice has pros and cons, benefits and pitfalls. As noted in last week’s article on home-based businesses, the pros includes a lower investment to start and a quicker path to positive cash flow, and the cons include lower earning potential, loneliness, and in inability to “turn it off” when it’s family time. With each choice, there are tradeoffs to be made. On the services side, a franchisor will want to know that you actually like serving people – whether you do it directly, or hire a staff to do it for you. In the latter case, you will need people skills to hire, train, manage, and retain staff, whether you’re in the hair cutting, oil change, or pack-and-ship business. You’ll also want to pick a growing sector, one with a future in an expanding market segment. One such is senior care, which is one of the fastest-growing segments today and into the foreseeable future. The population of seniors in need of services, whether in their home or at a senior care facility, grows larger every year and will continue to expand in the coming decades, both in the United States and overseas. Opportunities in this sector run the gamut from home care and estate planning to medical care, from home remodeling to shopping for the home-bound or infirm. Other service-based businesses include financial, business-to-business, maintenance (commercial and residential), technology and communications, children, pets, massage, fitness, and more. One basic equation to consider in evaluating the services sector is this: customers are willing to trade money for time. The classic example is maid services: those with enough disposable income and busy, time-starved lives would rather spend the money to have a clean house and free up their time to spend with their family and friends. 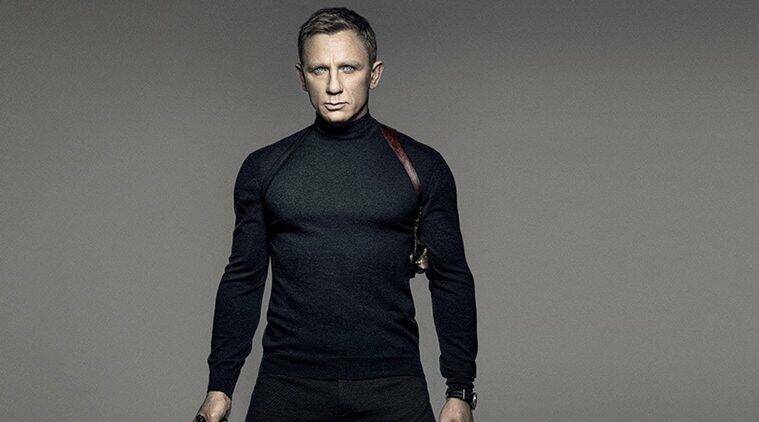 Franchise : Daniel Craig done with James Bond franchise? Franchise :Daniel Craig has reportedly turned down a 68 million pound offer to reprise his role as James Bond. Daniel Craig has reportedly turned down a 68 million pound offer to reprise his role as James Bond. The 48-year-old actor played the spy in 2006’s “Casino Royale”, “Quantum of Solace” in 2008, “Skyfall” in 2012 and last year’s “Spectre”, reported Daily Telegraph. However, amid speculation as to whether he would return to playing 007, it has now been claimed the actor has decided he is “done” with the franchise. “Daniel is done – pure and simple – he told top brass at MGM after Spectre. They threw huge amounts of money at him, but it just wasn’t what he wanted,” a source said. The deal allegedly saw Craig offered a staggering 68 million pound – which included profit shares, endorsements and a co producer role – to return to another two films. Franchise Dhoom Reloaded. As there’s already buzz about Abhishek Bachchan and Uday Chopra being replaced in the Dhoom franchise, this piece of news will surely bring a smile on your face. It is learnt that ‘Dhoom Reloaded’ will feature Ranveer Singh and Salman Khan being pitted opposite each other. While Ranveer Singh’s heroic characteristics will woe the audience, Salman’s villainous streak will takes us by storm. If sources are to be believed the production house is adding in a fresh twist to the cast of their popular franchise, which is also known to be a desi version of ‘Fast and Furious’. It is said that Ranveer will be playing the protagonist while Salman will be the one with grey shades. Considering the ‘Dhoom’ franchise had a line-up of interesting villains in the past like John Abraham, Hrithik Roshan and Aamir Khan, Salman’s inclusion will definitely give that must-needed adrenaline rush to this film. As per reports, ‘Dhoom Reloaded’ will start shooting in the year 2017, and will be directed by Vijay Krishna Acharya, who helmed the third and the recent part of the franchise. What was the rationale for the acquisition of a majority stake in Turmeric Vision? Are you open to more acquisitions in India. 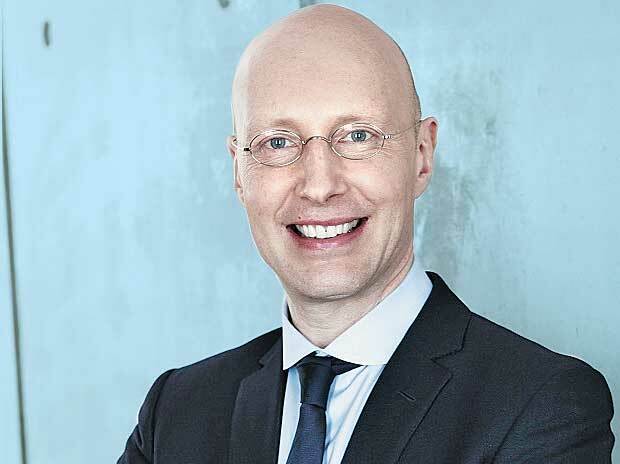 We are taking a flexible view of where we want our overall portfolio to be. This partnership with Sanjeev is a natural extension of what we do. I don’t look at networks from the point of view of genres, but from the point of view of communities and audience franchises. Sanjeev’s audience franchise revolves around Hindi-speaking women who are passionate about food and life. Sanjeev speaks about India’s three passions, which includes Bollywood, cricket and food. And the audience tuning into his channel taps into all these passions. Now that we are on board we will continue to invest in the content that Sanjeev creates and tap into those passions. At a broader level, we will also invest in sales, marketing and distribution of the channel, since it is now part of the Discovery network. To answer the second part of your question, yes, we want to grow organically as well as inorganically. And we will look at more acquisitions in India. When do you propose to rebrand Food Food (Sanjeev Kapoor’s food channel) now that it is part of the Discovery network? There are some voices that say that we should make the channel a part of TLC (Discovery’s travel and lifestyle channel). But my view is that this channel is very different from TLC, which does have food, but the audience franchise is different. We are not one of those companies that has a uniform branding strategy across the world. We have international as well as local brands in various markets and we try and retain the heritage of the local brands we have. In short, there is no immediate plan to rebrand Food Food. Discovery has made big investment beyond the infotainment domain that it is traditionally known for. For instance, you are big in sports in Europe and kids entertainment in Latin America. What is the plan for India? India is a top-priority market for us. It is an investment destination. I see enormous potential in terms of growth in the existing products we have. The other bit is digital, given that India is a young market with a high millennial population. We want to engage in the digital opportunity here in a big way. As far as inorganic is concerned, we are open to where opportunities are. But they need to be the right ones and ones that we can execute well. Infotainment, however, is not something we will be exclusively focusing our attention on in India. We will broaden our horizons and look at areas such as general entertainment, sports, regional entertainment etc. I expect to be doing more things in India from an inorganic point of view, going forward. When will a new India head come on board for Discovery? You haven’t had one since Rahul Johri stepped down a few months ago. Since India is an important market for us, the search is taking that much longer. And I am ready to wait for a good candidate. There is a good team in place here. I have just put a new corporate development team to turbo-charge operations here and I am always there to monitor and oversee operations. So I am in no haste to appoint an India head just yet. Your sense of the domestic media landscape. How will it evolve in the future? I see a multi-platform audience franchise emerging that will watch TV, video-on-demand, apps and social media. The nature and matrix of engagement is going to change dramatically. The way we are positioned currently, I am not quite sure whether we are there in terms of tapping into this multi-platform audience franchise. There is still work to be done to get there. “Need for Speed” released in 2014 was loosely based on the Electronic Arts video game franchise of same name. Despite the fact that it was heavily panned by critics, the movie was a financial success internationally and was loved by fans across the world. According to Cinema Blend, although the movie, which starred Aaron Paul of “Breaking Bad” fame, didn’t do very well, it seems that there are studios that are interested in the franchise and are looking forward to develop a sequel. Deadline has stated that three Chinese studios — Jiaflix, China Movie Channel, and 1905 Pictures — are planning to collectively make a sequel to the 2014 movie. According to the website, the studios might be inspired by “The Fast and the Furious” franchise and hence they may decide to move ahead with the project. The latest movie in the “Fast” franchise, “Furious 7,” made $392 million in the opening weekend when it was released last year. Though “Need for Speed” reached nowhere near that degree of success, the studios are undoubtedly positive about the response the sequel may get. The movie had made only $43.5 million in the domestic market, although it did significantly well in foreign countries, making $159 million more, $66 million of which came from China. The Chinese trio of companies had previously helped revive the Transformers franchise by financially backing “Transformers: Age of Extinction.” They seem certainly positive about reviving “Need for Speed” as well, especially when the “Fast” franchise continues to be in trend. Franchise Film : X MEN Costumes Been Betrayed? Source: Have X-MEN Costumes Been Betrayed By the Film Franchise? Because 90 percent of startups fail, every step matters. Get ready, y’all! The American Country Countdown Awards are tonight, May 1, and the show is going to be unforgettable. Watch the American Country Countdown Awards live stream now! As sanctions are lifted in Iran, can a burst of startups succeed—and even transform the nation? Across East Africa more than 300,000 households previously without electricity are powering homes and devices with solar panels and using mobile money to pay for it.